DIXON- Barbara Drew Mick Herbon, 82 of Dixon passed away on Thursday, March 15, 2018 at her home surrounded by her family. Barbara was born on May 28, 1935 in Dixon, IL, the daughter of Alvah Christian and Elizabeth Catherine Frey Drew. She married Clifford Larry Mick on March 30, 1962 at Methodist Church in Dixon, and later married Robert Lee Herbon on March 31, 1978 also at the Methodist Church in Dixon, and he precedes her in death. Originally hired at the radio station WSDR to do the news, police reports, and the weather, Barb later went on to work for the Lee County Sheriff’s Office. Here she would spend the next 40 years as a dispatcher. A job in which she loved. Barbara would bounce back and forth between the Lee County and Ogle County 911 Response teams. Her ability to stay calm and her desire to help others made her proud of her career as a dispatcher. Barbara enjoyed trips to Leech Lake in Minnesota and Branson, MO. She was a gifted piano player, and she enjoyed making t-shirts and sweatshirts with bling, and was a legendary cook. She was an active member of Bethel Church and a life-long member of the Methodist Church in Dixon. When she wasn’t spending time with her family, you could find her volunteering at the American Legion or the Elks Lounge. A loving mother and grandmother with a beaming personality and one who truly believed and lived by “Be kind and pay it forward” is how Barbara will be most remembered. Surviving are her children, Cathy (Bruce) Elder of Nelson, Bill (Sabrina) Mick of Dixon; step-children, Mike (Lori) Herbon of Rock Falls, Gamal (Terilee) Herbon of Murray, UT, Teri (John) Hulteen of Frederic, WI, and Tami (Robert) Kudlauskas of Ottawa; and many grandchildren. She is preceded in death by her parents; step-daughter, Lori Miller; and two brothers, Bill Drew and Alvah Drew Jr.
A special thanks to Rock Valley Hospice, Home of Hope: Bruce, Roxy, Midge, Dar, Deb, Jen, and Ken for all you did to help us through. Also, we wish to thank those who visited and loved Barbie. A Celebration of Life will be held on Tuesday, March 20, 2018 from 10:30 to 11:30 am at the First United Methodist Church, 214 Peoria Avenue, Dixon. Cremation rights have been accorded by Chapel Hill Funeral Home, 1121 N. Galena Avenue, Dixon. 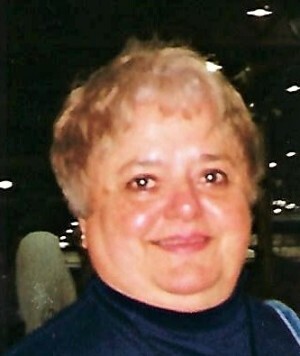 Memorial contributions may be made in Barbara’s honor to Hospice of the Rock River Valley, 2706 Avenue E, Sterling, IL. 61081.